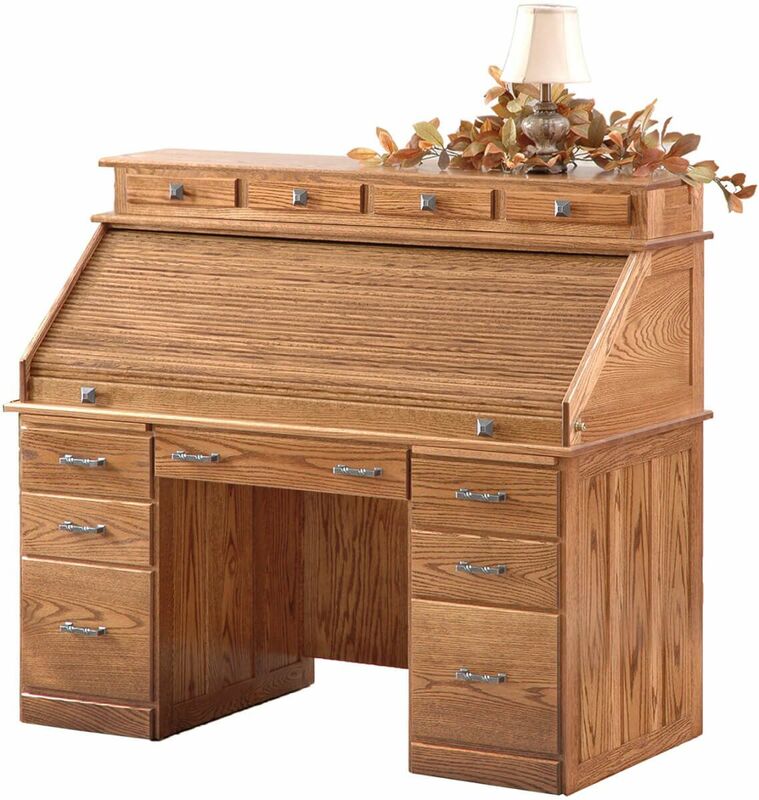 Constructed with the finest solid woods, our Amish handcrafted Postmaster's Roll Top Desk offers a distinctive look for your home or executive office. Our Postmaster's Roll Top Desk is the perfect addition to your office. 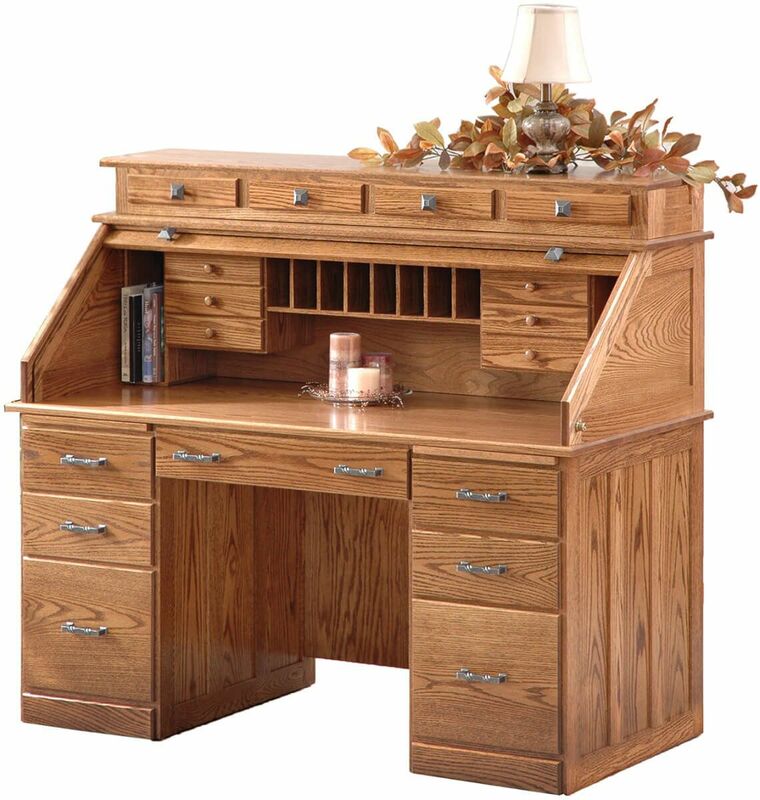 The quality of craftsmanship is second to none, and our roll top desks for the home office are designed and handcrafted by our experienced Amish woodworkers to last a lifetime and beyond. Smooth functioning slides provide easy access to the storage area within the solid wood dovetailed drawers, while two wooden pullouts provide extra space with you need it. With plenty of space for all your office supplies, this Amish roll top desk brings both a distinctive beauty and functionality to your work space. Our Postmaster's Roll Top Desk is available in Oak, Cherry, Rustic Cherry, Elm, Brown Maple, Quartersawn White Oak, Maple and Walnut with a variety of Countryside finishes.